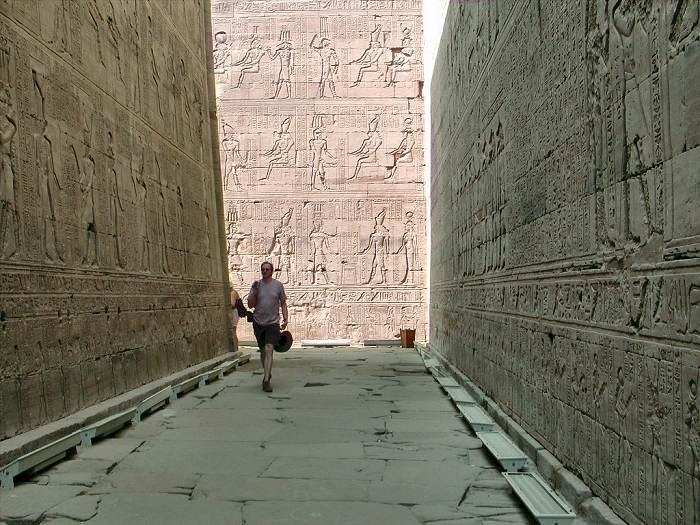 The Temple of Horus at Edfu is widely considered to be the most impressive of all of the Nile-side temples along the journey between Luxor and Aswan. 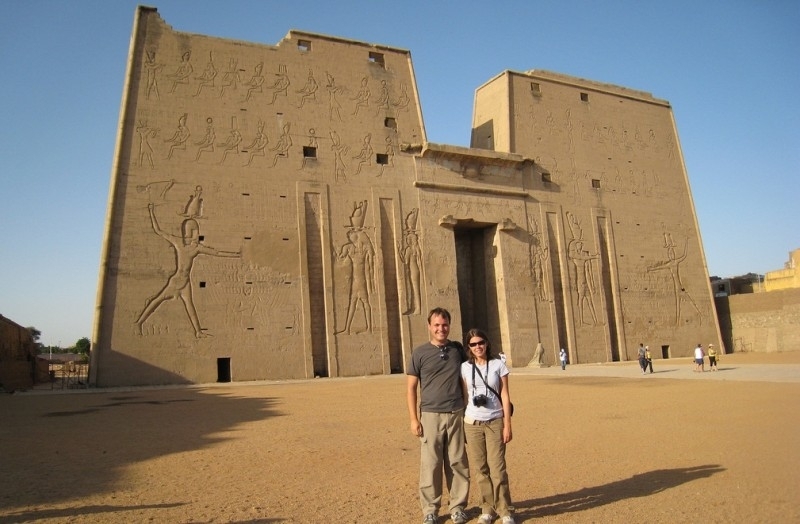 It is a required stop by all of the cruise ships that make the trip, also stopping at Esna and Kom Ombo. 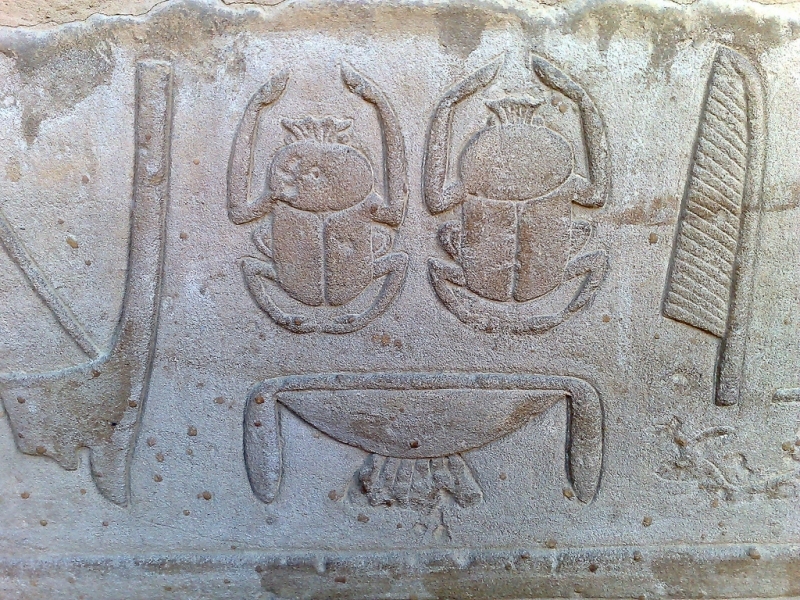 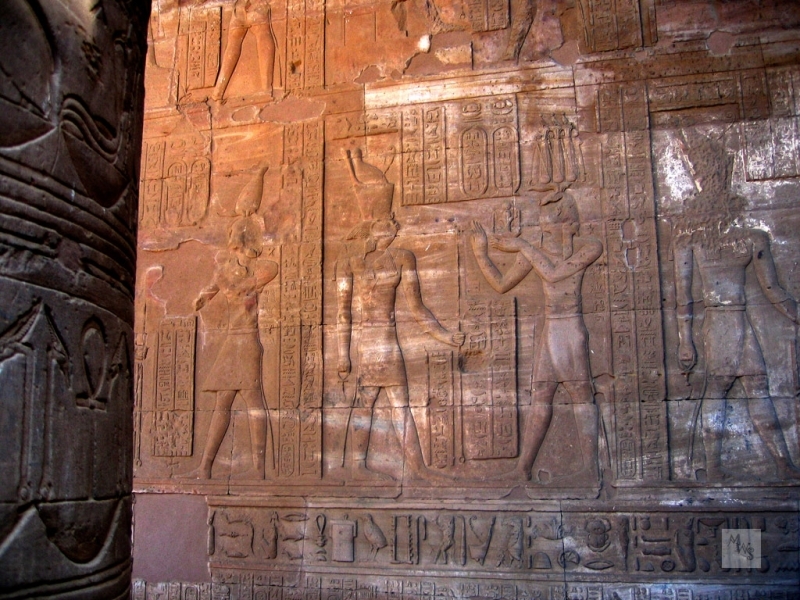 Like at Esna, the temple at Edfu is a late construction. 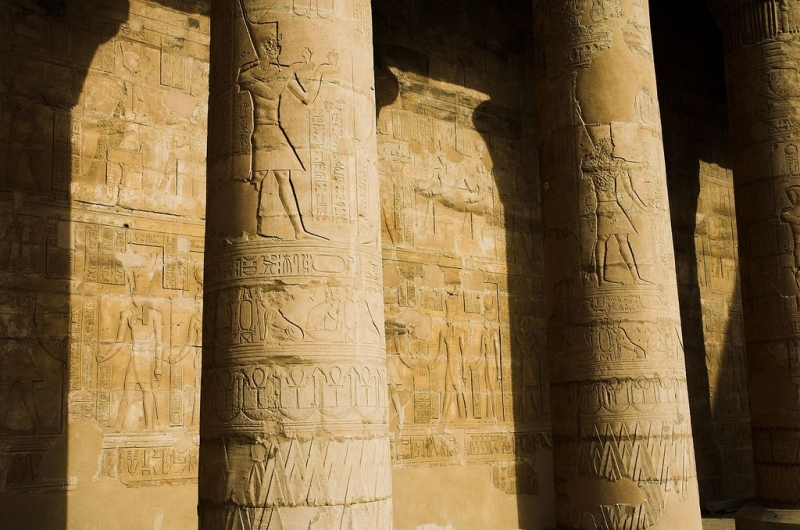 It was built during the Greco-Roman Period, but the builders painstakingly preserved the form of Egypt’s true pharaohs. 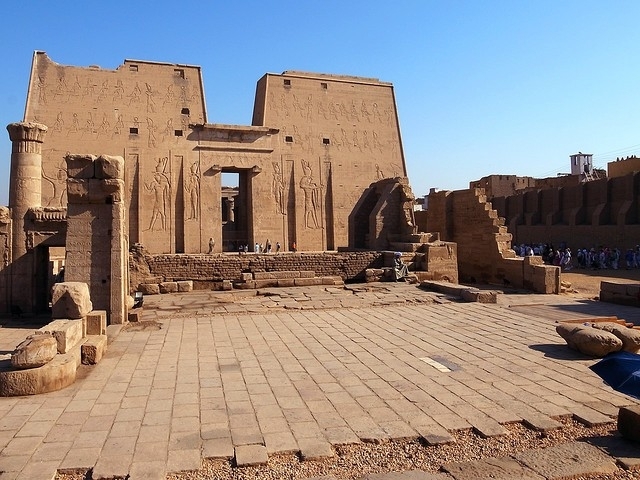 As a result, a visit to Edfu allows you to see what all of the other ruined temples around Egypt might have looked like had they been built 2000 years later. 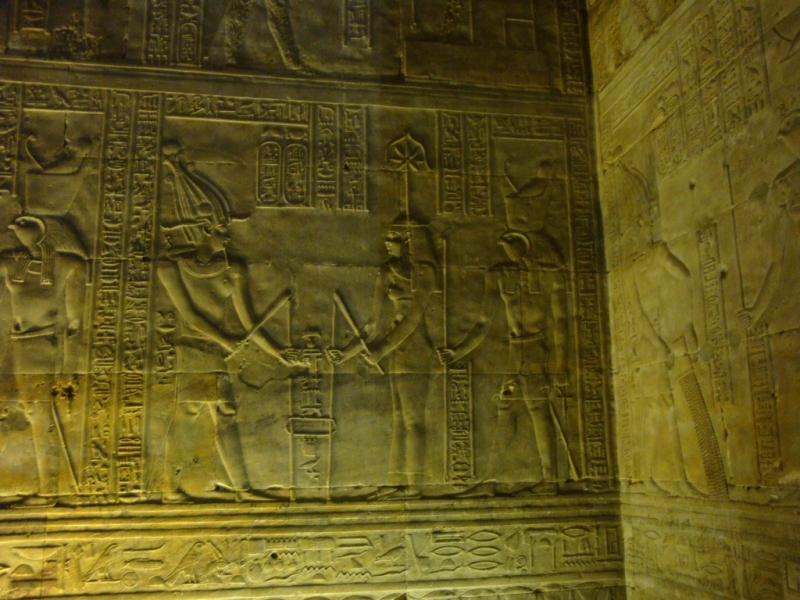 The Temple of Horus is located in the center of the town of Edfu. 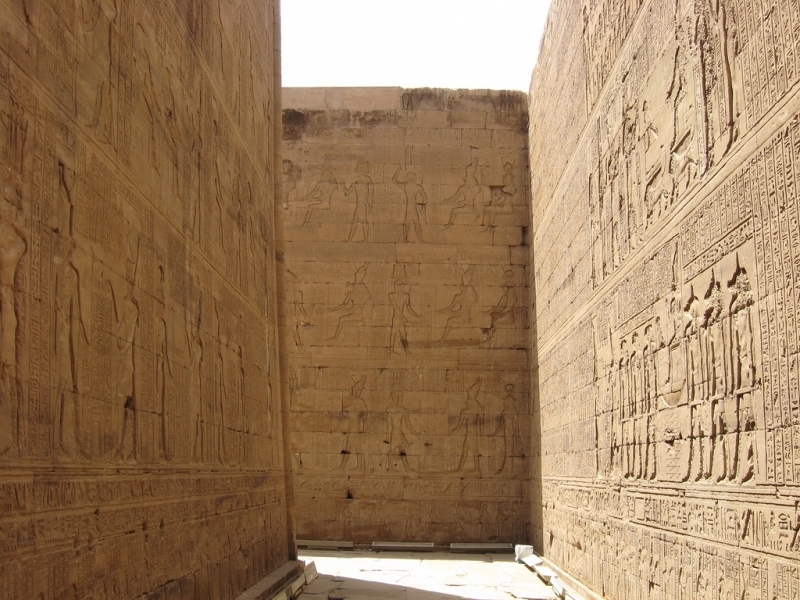 By the 19th century, the village extended into the temple with some houses actually standing on the roof of the sand-filled temple. 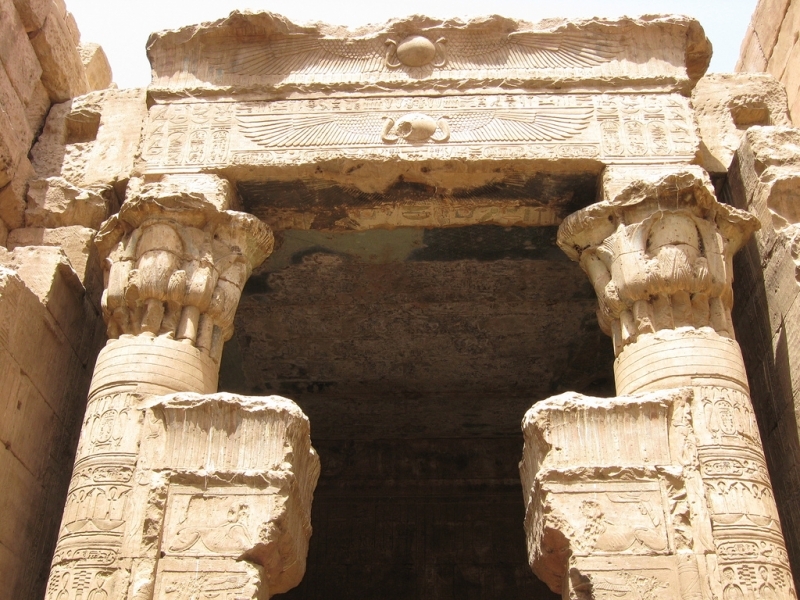 Now the buildings have been cleared away, but the excavation is still very evident since the surrounding buildings look down into the temple complex, which is several meters below the modern ground level. 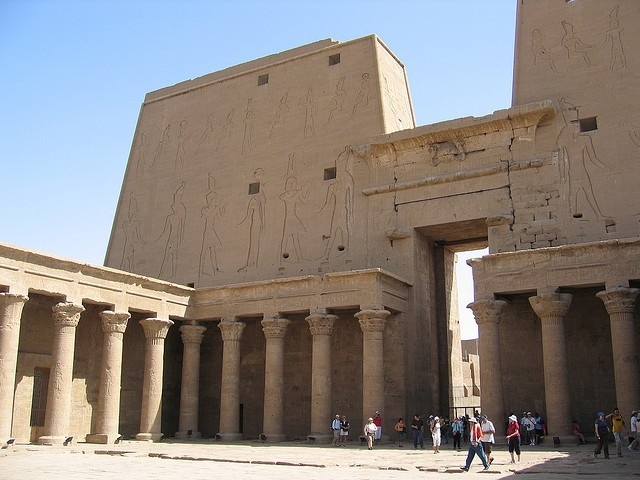 The temple is very complete, including a pylon that was built by Cleopatra’s father in the first century BC, which leads into a peristyle court and then a hypostyle hall that precedes the sanctuary of Horus, the ultimate and most important part of the temple. 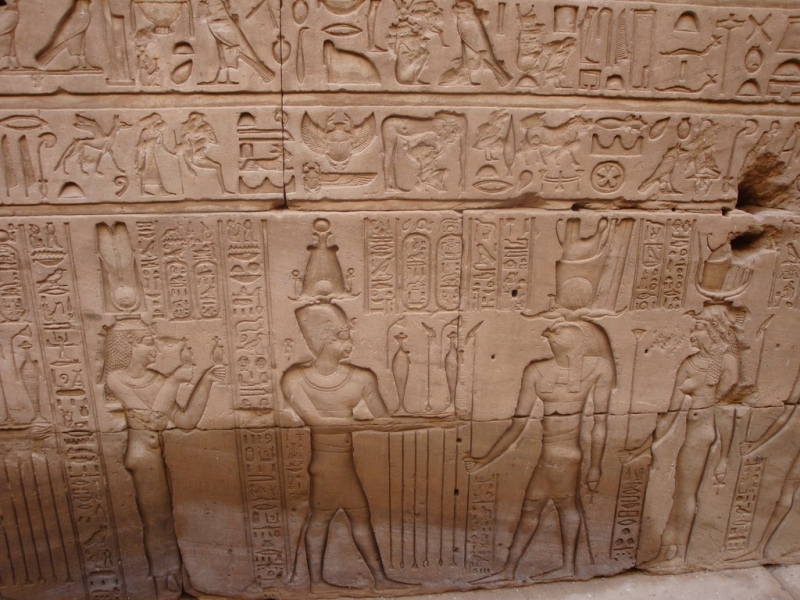 All of this replicates the standard layout of a New Kingdom pylon temple, the ruins of which can be seen at many other sights around Luxor and along the Nile Valley. 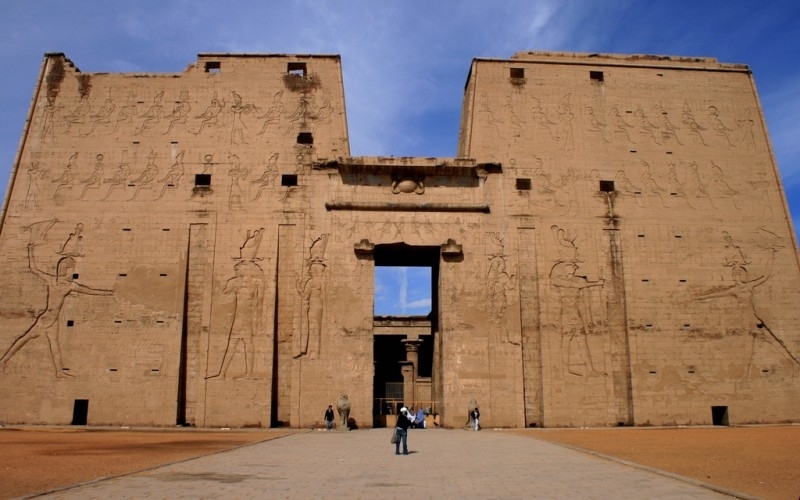 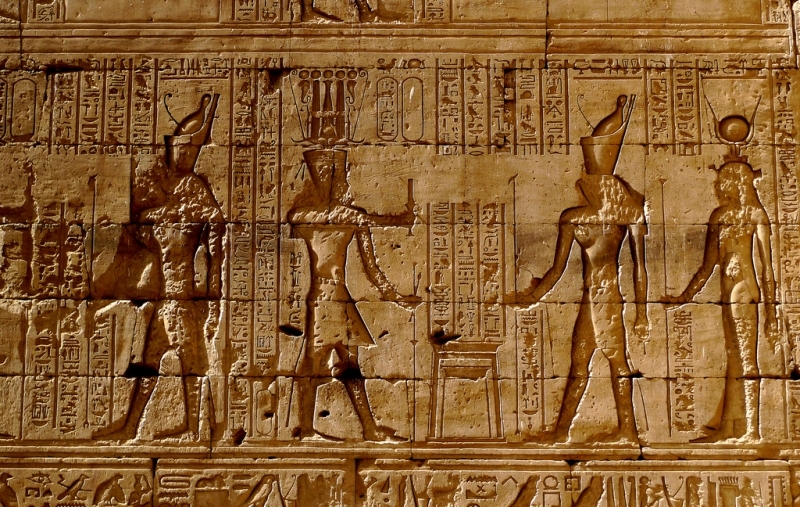 The Temple of Horus at Edfu is by far the most complete example of this architectural style.